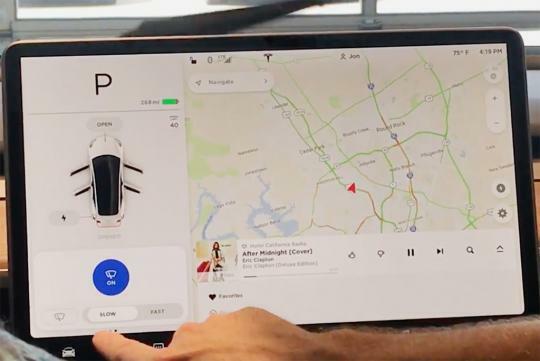 We aren't sure if Tesla is trying too hard to be revolutionary - Tesla Model 3's wiper speed can only be adjusted from its infotainment system. As seen on Carscoops, the article says that while there is a tradition stalk mounted on the steering column for turning the windscreen wipers on and off, the only way to change their speed is by going into a submenu in the infotainment system. While we thought it was fine for the electric car maker to house the other vehicle settings like the air-conditioning and seat adjustments in its touchscreen infotainment system, it is slightly puzzling to leave the wiper speed settings in there too.